From the 1st of February 2013 the SuperPro warranty becomes a Lifetime Warranty with no exclusions.  This means that if a SuperPro product fails, ever, we will replace the product free of charge. With SuperPros technical superiority in material, design and manufacture a lifetime warranty with no exclusions for off-road, track and competition use is a guarantee we can make with complete confidence. 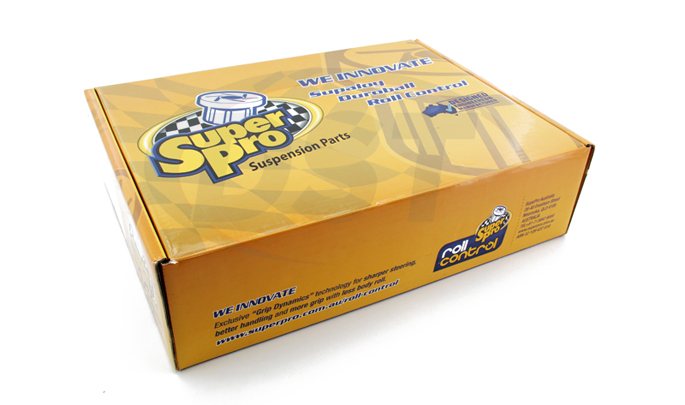 Our goal is to make SuperPro the only choice of suspension bushings for repair, off-road and performance applications in the mind of workshops and consumers. 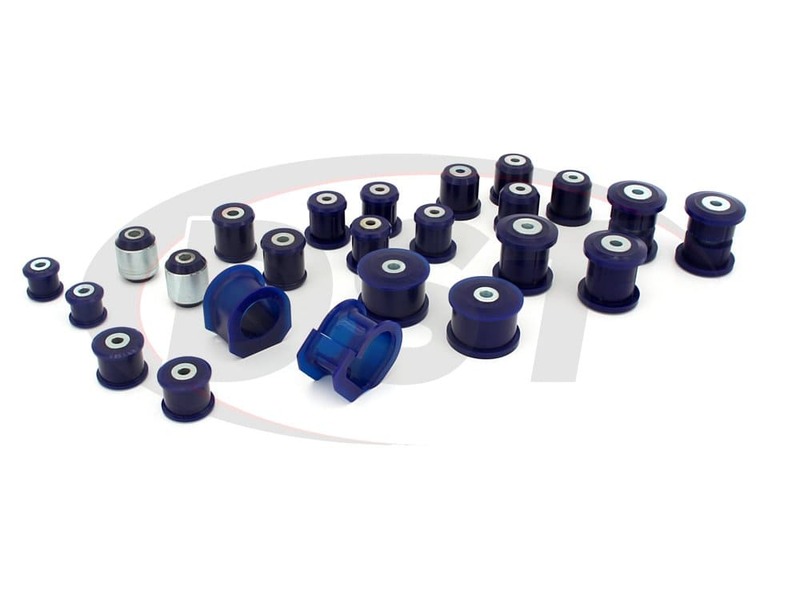 SuperPro's Enhancement Kits are the best value option for bushings on your vehicle. 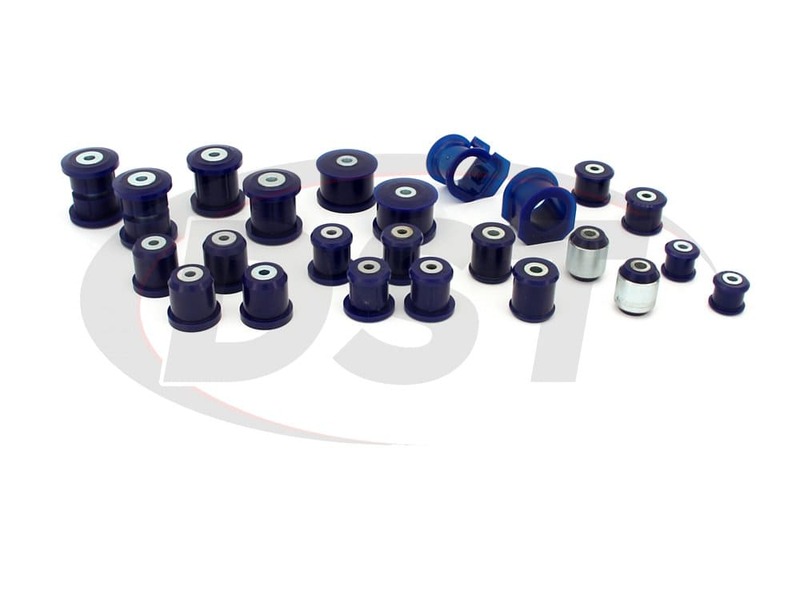 These kits include bushings that offer the most performance for the dollar, and/or bushings that replace the most commonly failed OEM bushings on your vehicle. Target the most popular, or most necessary, chassis improvements on your vehilce with a SuperPro Enhancement Kit. SuperPro's iconic blue polyurethane bushings carry with them a promise of quality. In an effort to guarantee their bushing's performance, SuperPro has kept all of their manufacturing within the borders of their original country: Australia. With all of their manufacturing done nearby, it's made researching possible improvements easy. 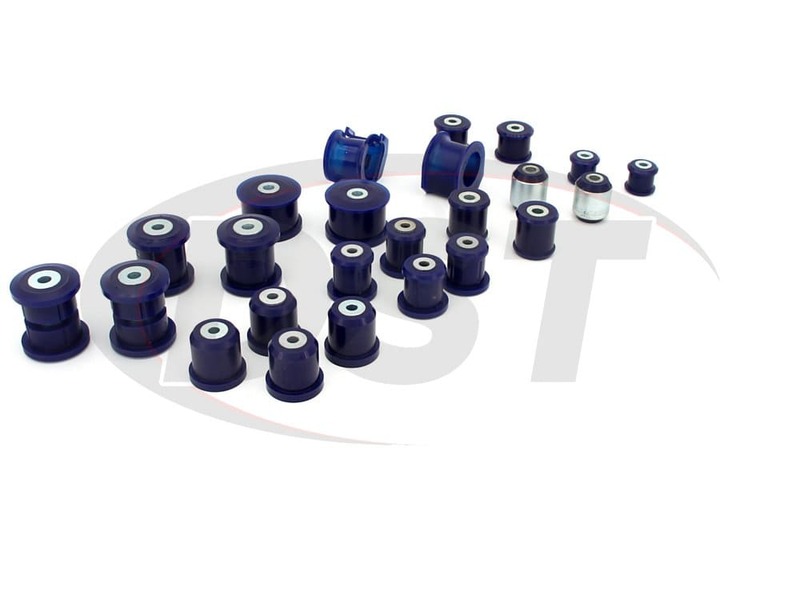 Polyurethane bushings have a reputation of increasing performance, at the cost of increasing NVH. 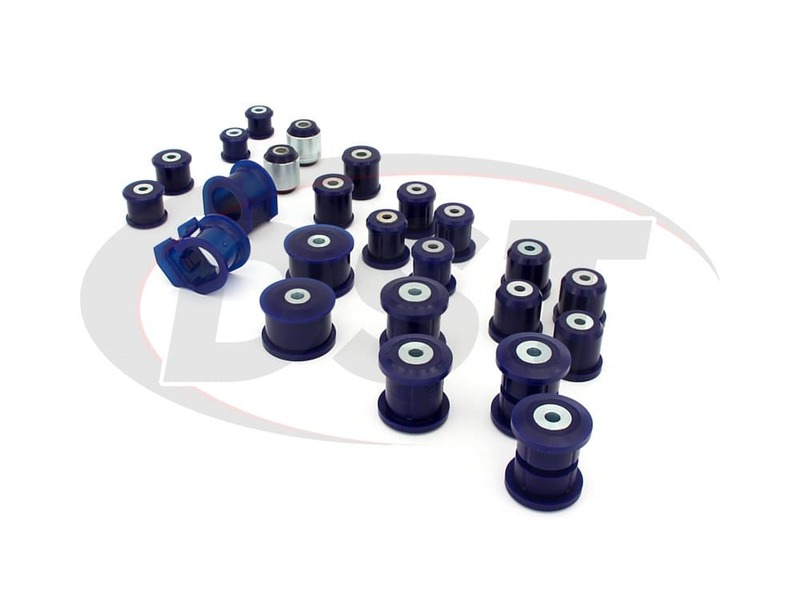 SuperPro has spent years looking into this flaw and, thanks to their research and innovation, now have bushings that offer polyurethane levels of performance without the NVH increase. 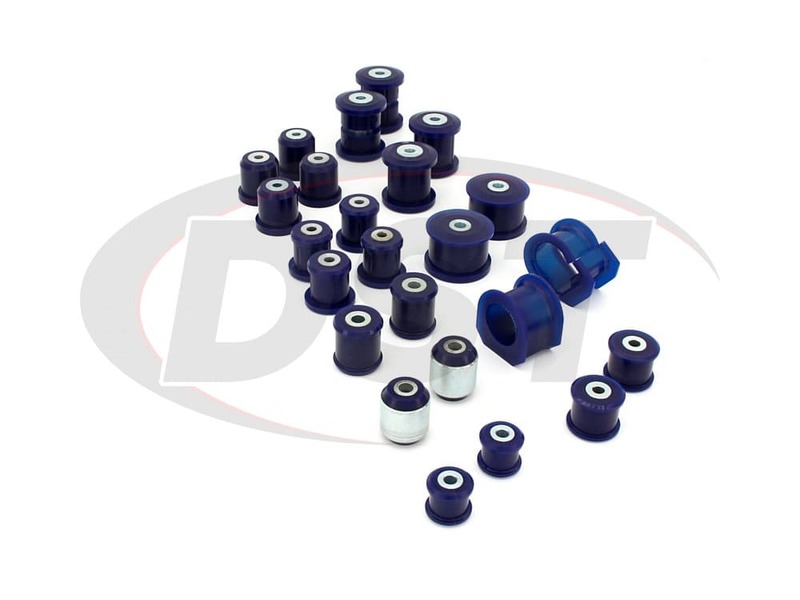 Plus, SuperPro covers all of their bushings with a lifetime warranty handled in-house here at DST. starstarstarstarstar" easy to install "
What parts come in the kit130k suspension kit? "SuperPro" and the SuperPro logo are trademarks of SuperPro. Used by permission. Suspension.com is not affiliated with the Manufacturer SuperPro.